Features: Kareem Abdul JabBot had a clamping end effector that grabbed cubes combined with an elevator to lift them up to either the switch or scale to gain points. The elevator also supported a hook that could latch on to the bar and wind up its attached rope so the robot could climb. An additional mechanism that was unique to our robot was the flipper, located on the back to efficiently move cubes from the portal to the switch without the need of careful positioning. History: We made it to Quarterfinals and received the Innovation for Control Award at the Glacier Peak District Event. We got to the semifinals at Auburn Mountainview and made it to the PNW District championship in Portland, Oregon. Features: This robot had 2 gear mechanisms and was an active gear robot. We had a gear pickup as well as a active gear pusher which essentially pushed gears onto the peg. We also have a climber in which we used Velcro for the rope attachment. We had used Mecanum wheels for this robot. History: We won our first event of the year at Glacier Peak, and made it on to Auburn, and DCMP championships. Eventually we made it to the world championships in Houston and was first seed on our field Galileo. Sadly we lost our final matches and were eliminated. Features: This robot was one of the lower profile robots we had made. It was designed to be able to pass under a low metal bar and score by shooting at the lower goal of the castle. 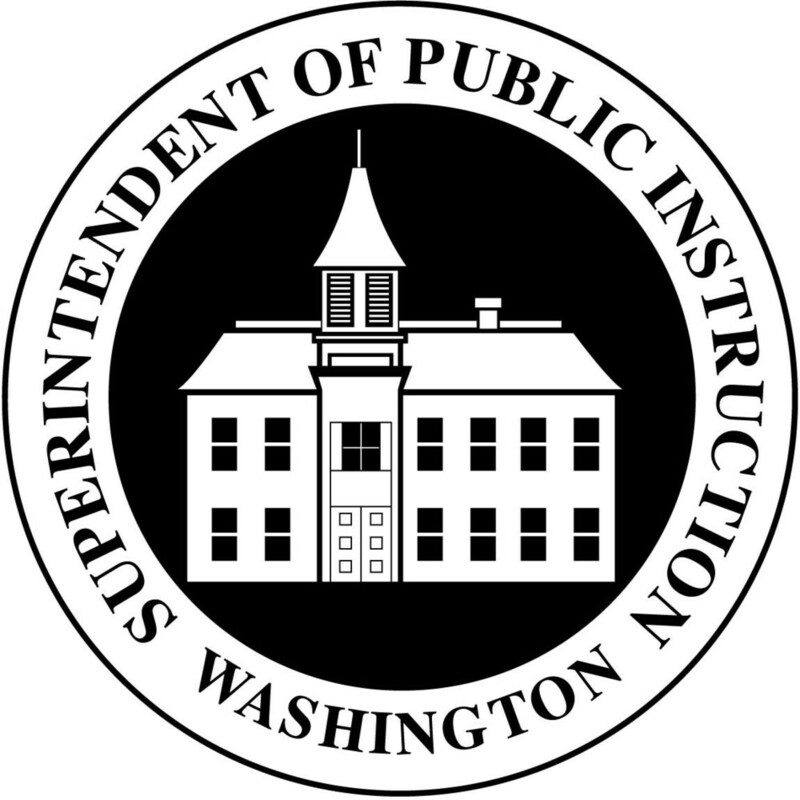 History: Sadly our first district competition did not go so well and our second competition, while better, wasn't enough to qualify us for Portland. Features: This robot was specialized to stack up giant totes of 4-6 with a recycling can on top. History: We qualified for Worlds in St. Louis by having a great showing in all 3 qualifying competitions that year. For the first time in 12 years we made it past groups and finished first on Einstein at worlds. History: This year we finished first at the glacier peak regional and made it to the quarterfinals for both the Shorewood regional and at Portland. Sadly we finished a few spots under qualifying for worlds. 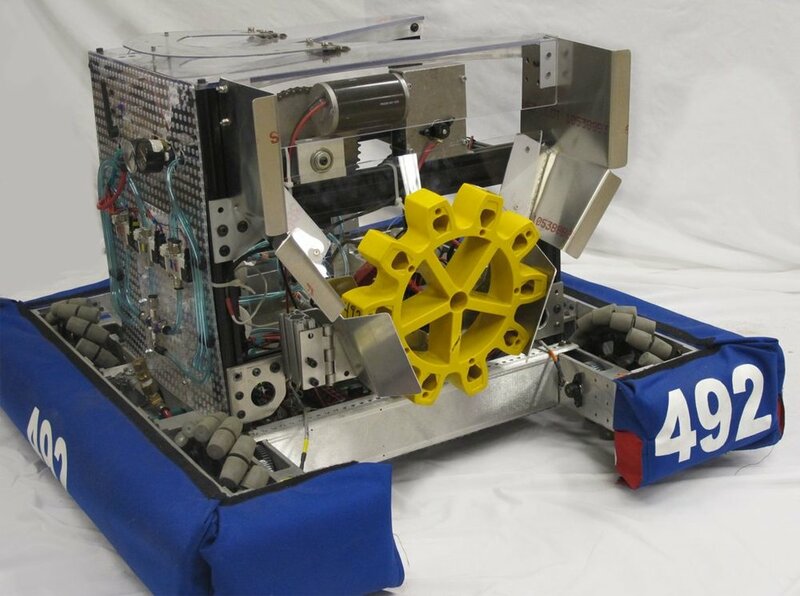 Features: Franklin was built short, sturdy, and fast, allowing it to dominate the FRC 2013 Seattle Regionals. Whether out in the open or around the towers,Franklin's small size allowed it to smoothly maneuver through the course with speed and precision. Its color sensor allowed pinpoint accuracy, no matter the the position of the goal. Possibly the most impressive feature of Franklin was its turret-style frisbee shooter. Its ability to pan and tilt made it a versatile opponent on the field. Another unique feature was the last minute addition of the leaf-blower attachment. The leaf-blower allowed Franklin to sabotage enemy robots, diverting enemy frisbees from the goals. History: Franklin was extremely successful at the Seattle regional, and was quickly chosen to join the Blue Alliance, consisting of Newport and Aviation robotics teams. Franklin was selected because of its superb defense and ability to deflect from taller robots. The Blue Alliance went on to win the Seattle regional and advance to the St. Louis Championship, but due to technical difficulties and trouble with the shooting mechanism, Franklin's run came to an end. Features: Short and wide, Koios is designed to fit on the balancing bridge for the 2012 FRC game without taking up too much space. A side ways shooter insures that Koios uses its space efficiently. With the ball intake roller on the wide (front) side, it has the widest possible "mouth", enabling it to take in game pieces effectively. Plastic "whiskers" are attached in a spiral fashion to roll game pieces into the center conveyor belt. With an Axis Network camera attached in front of the pitching-machine-like shooter, Koios is programmed to aim itself and calculate the speed it's shooting wheels need to successfully make a basket. Two pneumatic pistons working in unison push down a caster wheel, that when activated, will push the front side of the robot off the ground high enough to push down the balancing bridge as well as going over the 4-inch tall bump. Drivetrain: Koios uses four normal 8-inch rubber wheels and two wheels offset about half an inch up in the center to insure maximum mobility while turning, while still avoiding getting stuck on the middle bump. Although we would have preferred using Mechanum wheels, they did not give us enough traction on the balancing bridge, which is a main point-scoring strategy for us. The frame for the drive train is a heavily modified AndyMark Nanotube (we cut the center out to offset it, welded it back together, and shifted the gearbox positions. History: Mechanically, Koios has been nearly perfect, and is the first time in the history of the club that we have not had to modify drive train components or other major components. The only real mechanical problem we had was the ball gate that stops balls from entering the shooter immediately, which could occasionally jam with too many balls behind it. This year our problems were mainly electrical, specifically the signal electronics that kept unplugging themselves. This made the task of the programmers very difficult. Koios had some minor aiming miscalculations, and had to operate on manual mode for a while during the Seattle Cascade Regional. However, it preformed superbly, scoring up to 22 points (alone) in a single match. It is extremely good at balancing on the bridge, and rarely fails to do so. Double balancing is easy, and Koios has even succeeded in triple balancing once. It won the 2012 Seattle Cascade Regional with 6 victories in a row without losing a single match during the elimination finals rounds. Features: A ladder with an roller on the top end is attached to the front end of Python. This allows her to take in, spit out, and rotate the game pieces by changing the moving direction of two conveyor belts. The ladder is split into three parts and has the ability to reach the highest pin on the scoring rack. The bottom of the ladder is mounted to the base such that it can rotate forward and back. A gas shock pushes the ladder forward at the beginning of the match. To start a round, the robot must be held back by a cable strung from the ladder, around the back, and wrapping around a pin on the ladder lifting winch. A Mini-bot deployer is mounted on the rear end of the robot. Drivetrain: Python uses four machinum wheels each driven by a separate motor. The crabbing of the robot will shorten the time to line up with the pole during the end game. For more information about this year's game, Logomotion, visit the Logomotion page in under the FRC menu tab. History: Because of the delay of Metal arrival, the building of Python was delayed. In the last week before ship, a lot of the robot had to be improvised. The name ghetto-bot comes from our use as a retracting dog leash and a spool (the kind a sewing machine uses) to keep track of the height of the end-effector. The mechanism holding the ladder back before the game starts was also fairly obviously hacked together. We ran a screw through the shaft on the ladder motor in such a way that a cable could hook onto it and when the ladder motor started turning, the cable would unhook, allowing a gas shock to push the ladder forward. The 2010 Robot features machenum wheels on all four wheels and a pneumatic kicker in the front. The Robot also contains a lid that is able to bounce soccer balls into the offense zone when the balls return to the field. Helios is a small yet powerful robot that can go over the bump as well as through the tunnel. Helios is mainly a mid field robot, but also has a powerful kicker, allowing it to be an offensive robot as well. Helios has 4 Mechemun wheels driven by four separate motors. Very maneuverable. It is able to move side ways when the front and back wheels move in opposite direction. This is very helpful as it reduces the time to line up with soccer balls. Helios performed around average during the qualifying round of the Microsoft Seattle Regional. There were problems with the driver station's wireless connection to the field management system because the ethernet port on the classmate PC used for the driver station was faulty. This disabled the robot for at least 3 rounds. However when it did work, Helios performed well and often scored the only points their alliance had. The TRC was picked as an alliance partner into the final rounds and performed very well until their alliance was eliminated during the semi-finals. Features: Roller to aquire game pieces that are stored in a large hopper on the back of the robot. Then by rotating the roller in the opposite direction the pieces are forced to a turret on the top of the robot at which point they are shot twoards opposing robots trailers. Drivetrain: 4 Wheel Drive Train using Kit of Parts "Slick Wheels" to interact with the Rigolith in the 2009 challenge. Please see the Lunacy page for game information. We again went with chains over belts for overall better control, and less slipping... even if that really won't matter considering the game...Built inside a standard Kit Bot from AndyMark.biz. History: Athena did not perform as expected at the Seattle Regional. However, at the Atlanta Championships, Athena finished 22nd out of the 87 competing teams. A very respectable performance for the small, short range shooter. Features: There were two versions of this year's robot. The first version had two 'arms' to reach out and grab the ball, then transport it around the field. It also had a pneumatic cylinder to remove the balls from the overpass. The second version of the robot had a launching device to throw the balls over the overpass. The dislodging device was changed to be a 'flap' that was driven under the goals. Although the device never successfully launched a ball over the overpass during a match, it was an amazing team build activity to complete the re-construction and implementation. Drivetrain: The traditional TRC 6 wheel drivetrain using chains rather then belts as the 2007 robot had. History: The Little Mermaid led the TRC to be a seed at both the Seattle and the Portland Competitions. At both events, the TRC was eliminated after the Quarter-Final round. But the best part is that Mnemosyne will be re-usable for robot demos in the future. Features: Oceanus has two ramps that are deployed by two seperate servos, where two other robots could go on top of. Drivetrain: Again a 6-wheel drive train. Changes for this year include an eighth inch center wheel off-set, fully tensionable belt drive train, and custom gear boxes, each coupled with two small cim motors. History: Oceanus competed in FIRST at the Pacific Northwest Regional in 2007. First Oceanus was a one ramp and arm bot, but was later converted to a two ramp bot to better fit the competition. Features: Gaea is capable of both rolling balls out and shooting them into 8 and 1/2 foot tall goals. Drivetrain: A six wheel drive robot, Gaea uses the FIRST gearbox with two CIM motors powering each side. History: Gaea competed in FIRST at the Pacific Northwest Regional in 2006. Gaea was chosen to be on an alliance with Team 997 and Team 1566, but was eliminated after the quarterfinals. Gaea also competed at the International Championships in Atlanta, Georgia. Features: Powerful arm to lift 10 pound tetras onto 7 foot tall goal structures. Drivetrain: Yet another six wheel drive robot, Tyr uses the FIRST gearbox with two CIM motors powering each side. History: Tyr competed in FIRST at the Pacific Northwest Regional in 2005, ending as the top seed after the qualification rounds with a 9 win, 0 lost, 1 tie record and leading the alliance with Team 1595 and Team 604 to win the finals. Tyr is also the recipient of the 2005 Pacific Northwest Regional General Motors Industrial Design Award. Tyr also traveled across the country to the Championship competition in Atlanta, finishing as a finalist in the Galileo Division. Features: Atlas is a rubber ball and exercise ball handler. The rubber balls are sucked up into the cage by one of two rollers on the front of the robot. The rubber ball capacity is 4. There is an arm that can grab the exercise balls with the soccer goalie gloves. Drivetrain: Atlas is another six wheel robot of ours. The power comes from a Bosch and a CIM motor on each side. History: Atlas competed with FIRST at the Pacific Northwest Regional in 2004, ending as the top seed after the qualification rounds and leading the alliance with Team 1031 and Team 957 to win the finals. Atlas also traveled across the country to the Championship competition in Atlanta. Atlas was eliminated in the semifinals in the Galileo Division. Drivetrain: Hyperion features our original 6 wheel drive frame for ease of control. 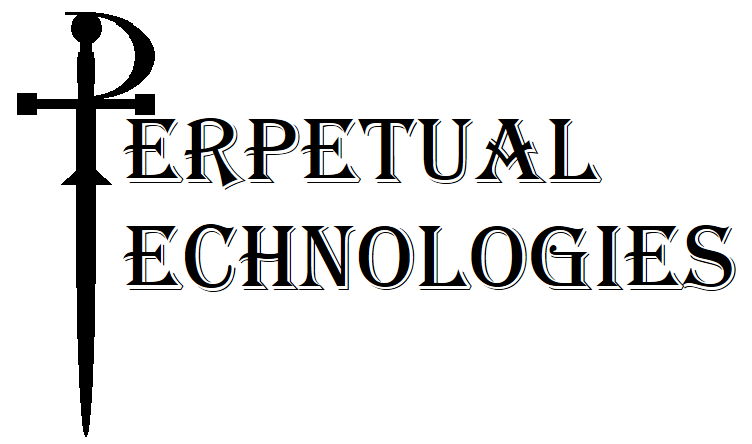 It is capable of going at a maximum speed of 16 feet per second. Hyperion is driven by four motors for extra torque. History: Hyperion has competed at the Silicon Valley Regional where it made it to the semi-finals. At the Pacific Northwest Regional, Hyperion won second place in the finals. Features: Chronos is a soccer ball handler. Soccer balls are sucked up into the basket by a roller on the front of the robot. There is a grabbing arm on the back of the robot which takes a hold of a goal structure, allowing Chronos to drive around while holding on to the goal. Once Chronos has positioned the goal in a good spot, its basket lifts up and dumps all the balls into the goal structure to score as many points as possible. Chronos is capable of carrying up to 20 soccer balls per load. Drivetrain: Chronos uses our original 6 wheel drive base which makes control of the robot easier. The wheels are driven by two drill motors mounted on our custom motor mounts. Chronos also features a shifting mechanism: high speed for fast movement, and low speed to haul goal structures. History: Chronos competed with FIRST at the Southern California Regional in 2002 and made it to the finals. Chronos also went to the Pacific Northwest Regional and won second place in the finals. 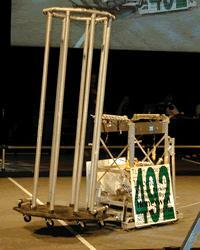 Later at the Titan Robotics Fall Invitational 2003, Chronos won most of the events played at the competition. Features: One arm in the front and another in the back, each capable of carrying a goal structure as pictured to the right and then balancing on top of a ramp. Drivetrain: Prometheus features our original 6 wheel drive frame. History: Prometheus competed in the Silicon Valley Regional where it won the Rookie All Star Award. Prometheus also competed at the national competition in Orlando, Florida, where it won the Play of the Day Award.